This newer 3 bedroom, 2 bathroom home on a cul-de-sac has nearly 3000 total square feet, with a HUGE unfinished walk out basement with room for a 4th and even a 5th bedroom. With super cute curb appeal, and an open concept living concept including a big open kitchen, HUGE ceilings in the living room to the bar top seating - this home truly has it all. The walk out basement has a sliding glass door opens to the hay field directly behind the home. 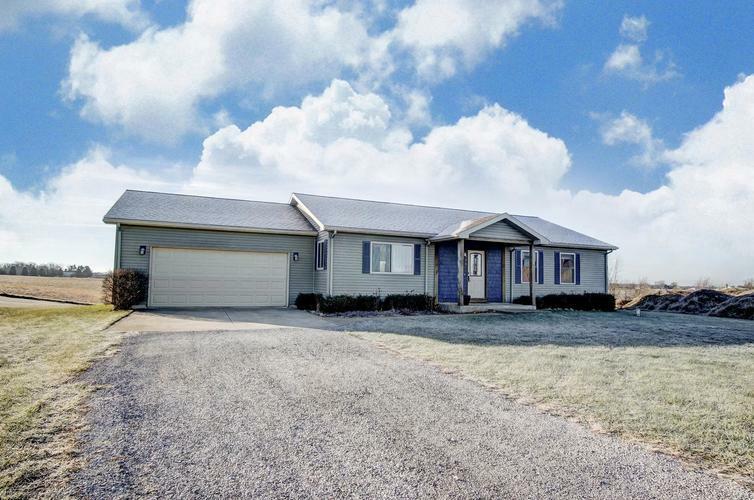 Just outside the city limits, this home is perfect for a new family.